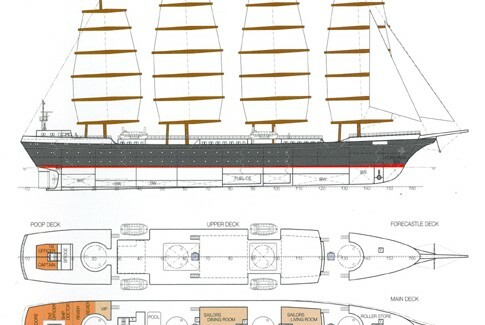 Modern Merchant Sailing Vessel: – Since the early Eighties Capt. Hartmut B. Schwarz developed the innovative idea of DynaRig by Wilhelm Prölss and constructed the Pinta-Rig – named after the first modern technology passenger sailing ship. Capt. Schwarz has continued working and has created the SS Bulker 1 – a panamax size bulker for iron ore.